Apparently I am back on the domesticated housewife train this week (as in I researched recipes yesterday, cooked dinner, and did two loads of laundry). I really don't know how people managed to find things to cook before Pinterest came along and saved us all. I sat on my food & drinks board yesterday for nearly two hours writing down (simple) recipes that I was confident I could cook without burning the house down. 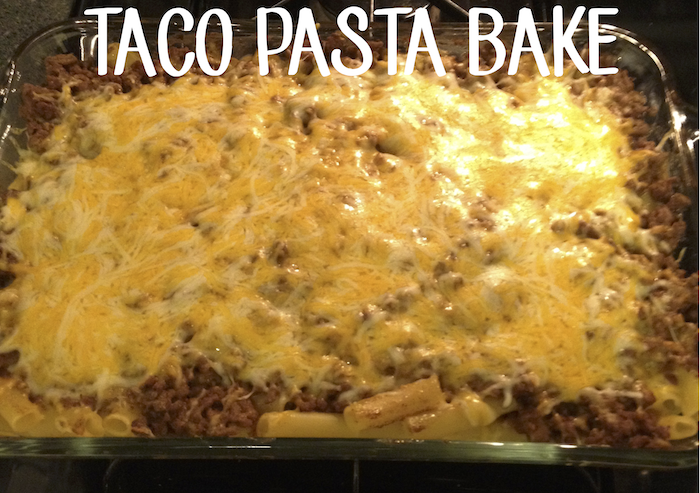 Last night's dinner options were Buffalo Chicken Pasta or Taco Bake. I let the fiancé make the final decision and I have to say, his Taco Bake decision was a good one. This recipe really couldn't be any easier. I mean there are a total of five ingredients in the whole dish. Five! And it didn't take hardly any time to throw together. If you are looking for an easy and quick week night meal (or if you are pathetic in the kitchen like me and are just looking for something to impress those you're cooking for without putting too much effort in) this dish is for you. It doesn't get any easier than that, kids. My new goal is to cook dinner (or eat leftovers) at least three days a week for Steven and I. This will not only help with our new budgeting experiment, but it will also help us work toward our wedding weight goal. It's so easy to just grab dinner on the way home or pick something up to bring home, but we are spending far too much money eating out; not to mention to unnecessary calories! If you have any easy recipes please send them my way. Until then, I will be obsessing over the food section on Pinterest. 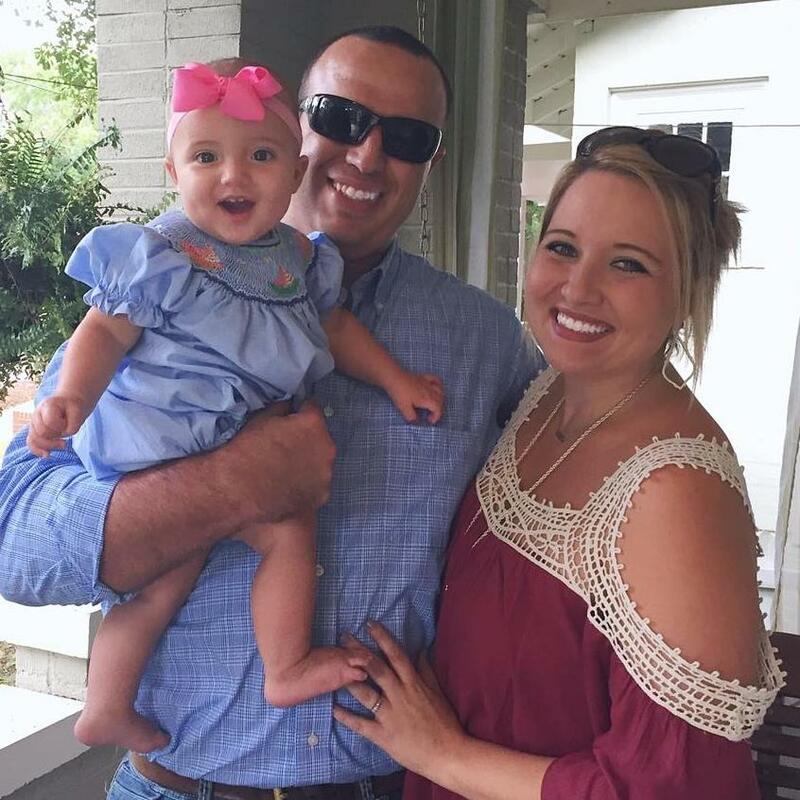 Linking up with Ashley, Jessica, and Heather for Taste of Tuesday. I have one word...YUM! This looks so good and plenty leftovers too. I will have to give this a try next week. Looks and sounds delish!! Thanks for the recipe, I am adding these ingredients to my grocery list for sure. I am also going to stalk your Pinterest now for that Buffalo Chicken Pasta recipe because I happen to LOVE buffalo chicken and pasta, lol! Mexican pasta?! I've never had that but I love Mexican food and pasta so this is a winning combination for me! That looks so good and easy to make! Perfect! I use a similar mixture for mexican stuffed shells. OLE! I will make it this way some day too. 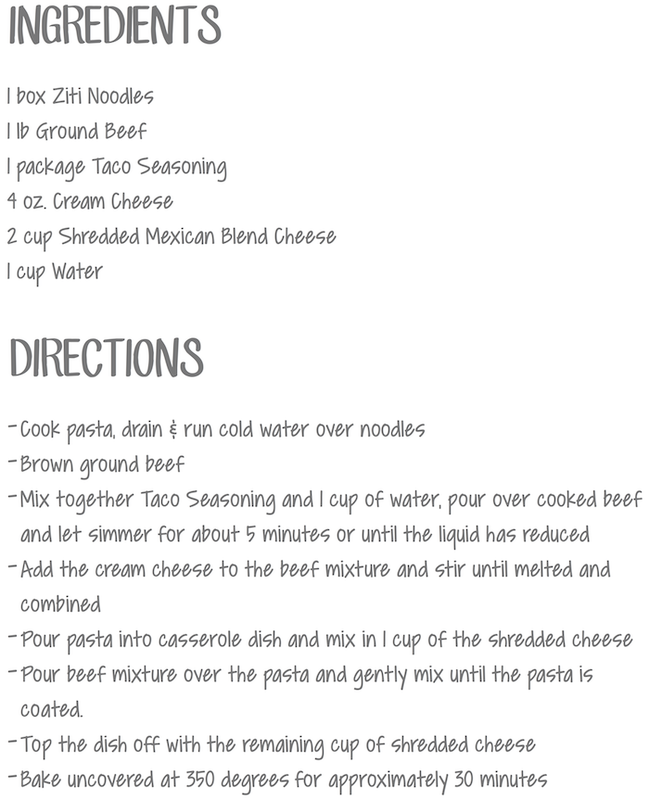 That looks AMAZING...and considering I've been craving both tacos & pasta this seems pretty stinkin perfect! Next time I cook this will be it! That will be perfect for next Taco Tuesday, so delish!